We are expecting a new Ticwatch smartwatch very soon and its makers Mobvoi have already revealed the name and one of the big features that we can be expecting from the smartwatch. 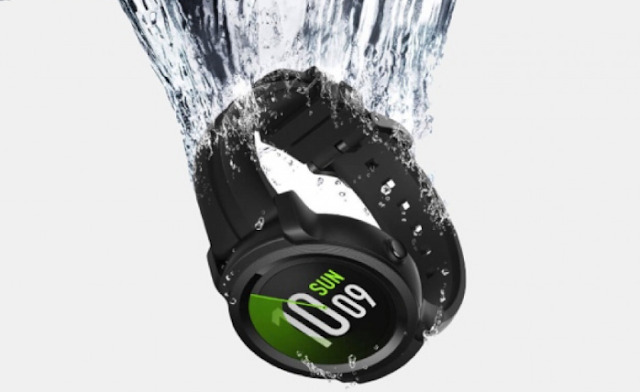 A landing page for the Ticwatch E2, which is clearly an update to the Ticwatch E, is already on the Mobvoi's website. Prompting anyone that is interested in the new watch to sign up to its mailing list for more details when they become available. Along with the name, Mobvoi has also revealed that with the coming E2, "water will now be your friend" indicating its new waterproofness. The previous version, the E was slapped with an IP67 water resistance rating, which meant it was good for rain and sweat but swimmers couldn't take it in the pool. And now, the E2 seems to suggest that the watch will now be fit for swimming. That's all we've got so far in terms of specs, but it's probably safe to say it will run on the latest version of Google's Wear OS and will be packing a Snapdragon processor. Although, will it be Qualcomm's Wear 2100 processor or the recently announced 3100 chipsets? This show that we may see an upgraded version of the Ticwatch S also. The slightly more expensive sporty Wear watch was announced and launched alongside the E in 2017, so it's definitely a strong possibility.